Hello and welcome to my website. 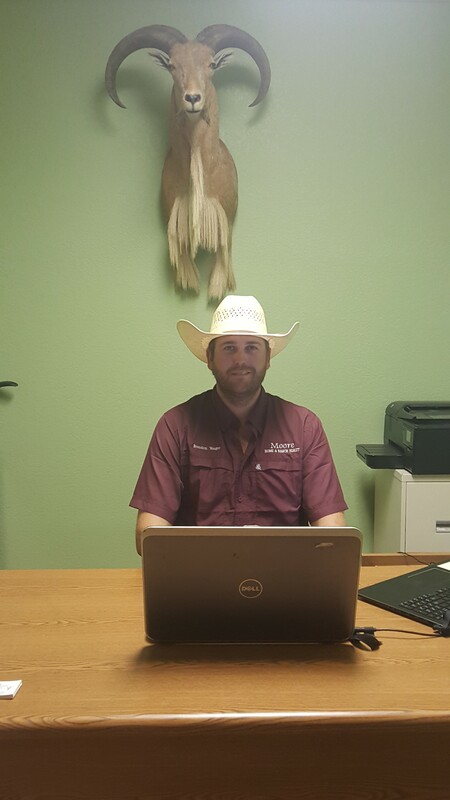 My name is Trigg Moore and I am a licensed real estate broker and owner of Moore Home & Ranch Realty, LLC based in Stephenville, TX. I bring integrity, energy, hard work and creative services to details to every real estate transaction. I work every aspect of the industry representing buyers and sellers. I know how important every real estate transaction is and I will work hard to make sure you are well represented and taken care of, whether you are buying or selling. I have been married for 25 years to Traci, and we have one daughter, Tarah. Growing up in West Texas, I was involved in ranching and agriculture. I moved to the Fort Worth area in 1981, where I was the owner of a successful construction company. I sold the construction company in 2003, and decided to get back into the agricultural industry. Thus, Triple T Longhorn Ranch was formed. We have raised registered Texas Longhorns for 15 years. I have been very involved with the cattle industry and the Texas Longhorn Breeders Association of America (TLBAA). I have chaired several major Texas Longhorn cattle events including the Fort Worth Stock Show, State Fair of Texas and the TLBAA World Show. In my free time, you will probably find me at a cattle or pig show with our daughter. In my practice of real estate, I am well known for great customer service, consistent communication, strong attention to detail and ensuring a positive experience for all parties in a transaction: buyers, sellers, cooperating agents. Before becoming a real estate agent, I purchased several properties and worked with many different realtors. From this, I have learned what to do and what NOT to do when working with my clients. Four words you can use to describe me are: integrity, commitment, passion and fun. Please call anytime, I am ready to go to work for you. I was born in Abilene, Texas. I attended school at Roby CISD where I graduated in 2009. After graduation I attended Vernon Junior College for two years and then I attended Tarleton State University on a rodeo scholarship. I currently live outside Dublin, Texas, where I also train barrel futurity horses. Horses have always been a big part of my life. Although, I am currently training barrel horses for customers, I also take my job seriously in real estate. I am looking forward to this being my future for a long time. I enjoy working with and for people. My goal is to become one of the best and well known in helping future buyers and sellers in the real estate market. I look forward to meeting new people and helping them achieve their goals. I was born and raised in Fort Worth, Texas. My experiences working throughout the country for the oil and gas industry has given me a strong work ethic and a high level of responsibility. I am an avid hunter, fisher, and outdoorsman. Knowing the land is a strong skill in my real estate career. My main goal in real estate is to give all my clients a great experience of buying and selling property, making me a go to guy in rural farm and ranch land sales. If you have any interest in buying or selling a home or land in Texas, no matter the size or location, please consider me as your agent! I work diligently for my clients, which in turn, fuels my passion for real estate. Growing up, I was always involved in agriculture in some sort of way, whether that was always being around dairy cattle or tractors. 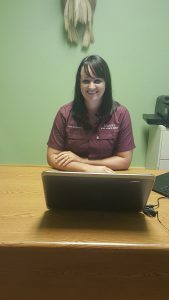 I decided to take my love for agriculture and pursue it as my college degree. 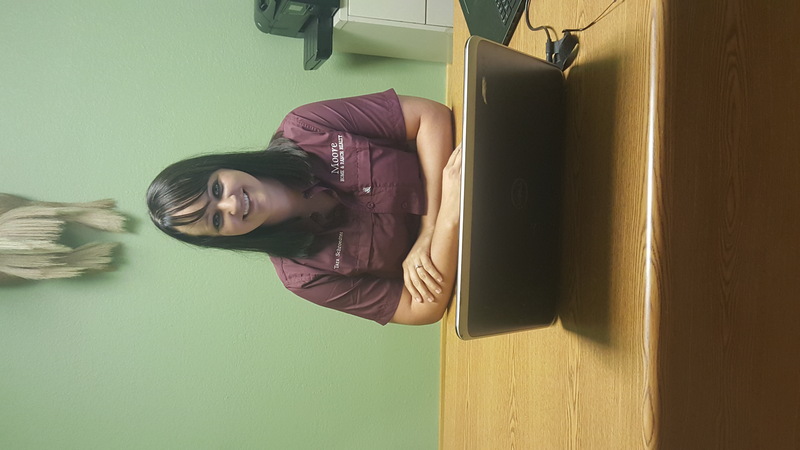 I recently graduated from Tarleton State University in 2015 with a degree in Bachelor of Science Agricultural Services and Development with an emphasis in Communication. While I have my degree, I decided to pursue the real estate industry. 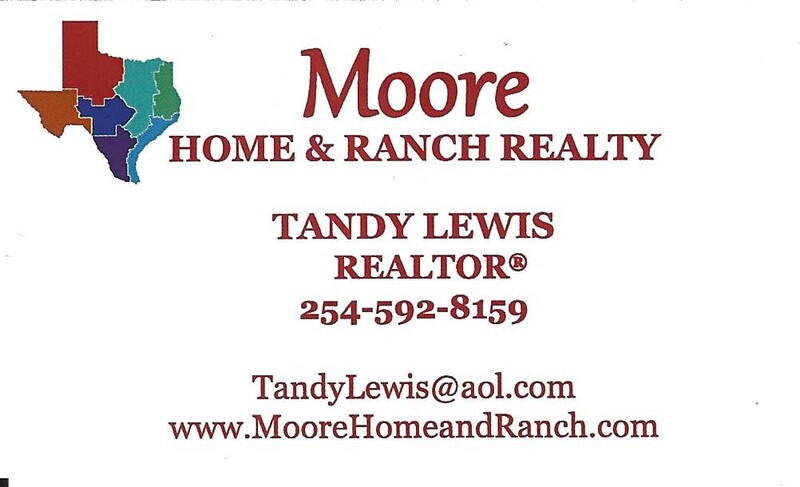 As an emerging real estate agent for Moore Home & Ranch Realty, I will be able to connect the everyday person to the residential areas for selling homes as well as clients who are looking for farm and ranch land. I am professional, creative, detail-oriented, and outgoing. If you are looking for your perfect real estate, give me a call today! I would love to meet up and discuss your future investments! Born and raised in Indiana, we moved to Stephenville, Texas about 13 years ago. Our children were active in team roping and barrel racing and the Cowboy Capital of the World was a terrific place to relocate. 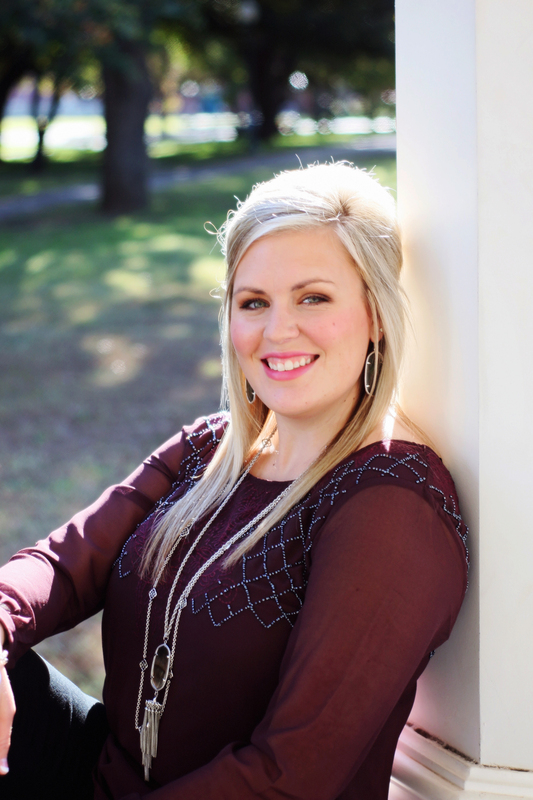 Both our children are agricultural business owners here locally and my husband, Mark, and I enjoy our children and grandchildren and the small town vibe that is Stephenville. The real estate industry is not new to me – just new to me in Texas as a Realtor. If there is some way I can help you out with your next real estate transaction, whether it be on the buyer and/or seller’s side, give me a call. I enjoy the personal residence real estate industry as well as the rural farm and ranch land real estate industry. 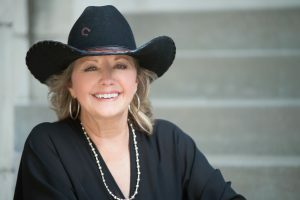 Besides being a full-time realtor, I am a rancher’s wife, a mother, grandmother, hunter and horseman. I love living in the country, it’s a lifestyle like no other, it has proven to be beneficial, as well as a guide to provide excellent customer service to all my clients. Being a Realtor is an exciting career to me, although it can be challenging at times. I get excited, and am thrilled to be a part of the hunt, finding that perfect place for my clients. I have always placed the highest emphasis on honesty, integrity, communication and marketing, and my clients have been extremely happy with their purchase or sale because of this focus. I give 100%, working diligently to meet my client’s needs. Whether you’re selling or buying. I am here to serve you and provide you with the attention you deserve. After closing the deal, I am here for you. I will do my best to make the buying or selling experience a comfortable transaction. Whether your interest is in investment property, ranching, recreational hunting, or a beautiful hilltop view to build your dream home, or maybe your search is for a quite weekend place away from the urban city life… if we don’t have it listed, I bet we can find it for you. I look forward to a lasting relationship with you and hope you will consider me and Moore Home & Ranch for all your real estate needs.